Kiki and Bobo are having a day at the seaside, its all very exciting but they have very different personalities which reminded me of my own children. This is a lovely picture book from one of the UK’s best children’s book illustrators. 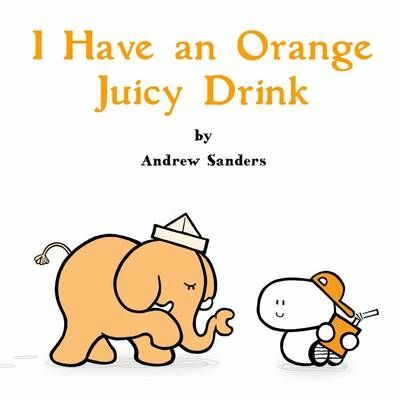 Aimed at very little children this has lots of flaps to keep their interest and a very simple charming dialogue between the characters. I like books which have slightly eccentric characters and in Bobo there is a picture book version of one of my own highly eccentric children. Suffice to say we all found this charming, its a really endearing book. Being set a the seaside makes it the perfect book to gift any little pre-schoolers who are about to go off on summertime seaside holidays. There are plenty of opportunities in the book to allow you to discuss any anxieties that they might have which makes it a useful addition to the bookshelf this time of year. 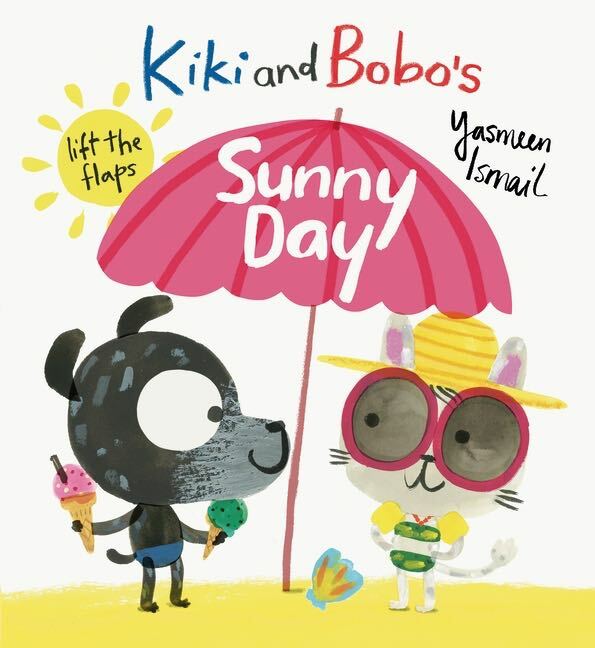 As ever with Walker Books Kiki and Boko’s Sunny Day is beautifully presented and feels like a quality book. 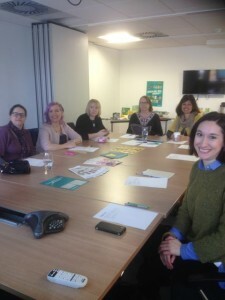 If you’d like to find out more have a look here. Sometimes a book comes along which strikes a chord with you as an adult reading it and you spend some time thinking about the content. 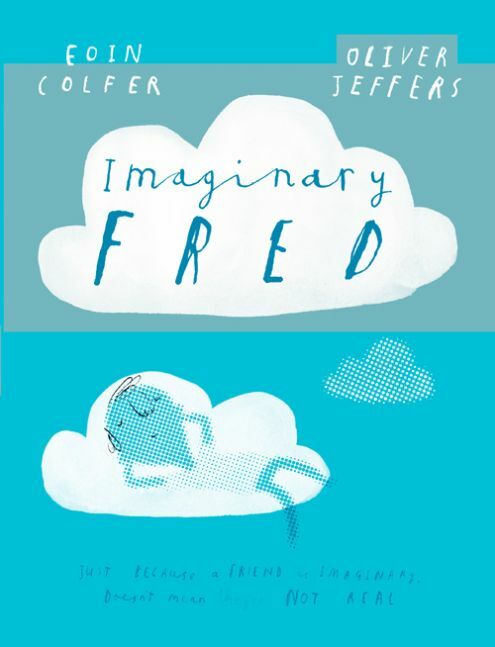 This is one of those books which doesn’t surprise me as Oliver Jeffers in particular tends to illustrate some really thought provoking stories. One of the over-riding issues of childhood is the coming to terms and grappling with issues related to friendship and it’s something often covered in children’s picture books. My children have all had friendship issues of one sort or another and they all have their own special ‘best friends’ at the moment, but in the past it hasn’t always been like this. They have all had imaginary friends and its something which I hope they can use to fall back on if they ever do find themselves short of a friend. Having an imaginary friend can help children deal with issues of loneliness, not belonging and also help them to feel empowered to do what they want to do, to buck the trends and to test themselves. I remember really clearly when my daughter had her imaginary friend and I think this really helped her deal with play ground politics and also her feelings of being left out at home when her brothers were playing together. In the book the imaginary friends are in colour, but they are not solid. The perfect way of depicting them. As the story goes along they begin to fade, which I think is a metaphor for how friends come and go; they fade in and out of life. This concept is a difficult one for children to grasp in real life so its great to find a book which can be used as a starting point to tackle this and the associated emotions. I’d say that this is quite a long book for very little children. It’s best suited for slightly older children perhaps 6 +. This is a book to spend time over, to enjoy and take inspiration from (perhaps a whole school holidays worth of activities) or to read at bedtime over a week in small sections. It’s a lovely book, nicely presented, illustrated and would make a really nice gift for Christmas. If you’d like to find out more then have a look at the website here. 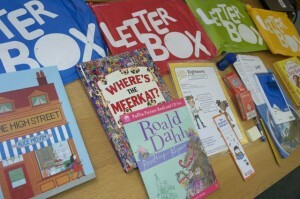 Barrington Stoke are a great publisher to look at if you have a reluctant reader. I’m rapidly becoming a fan of their books because they offer something different. The stories are usually original and tackle some interesting issues and the books themselves are well produced with consideration for children who find reading difficult or unappealing for various reasons (including dyslexia). 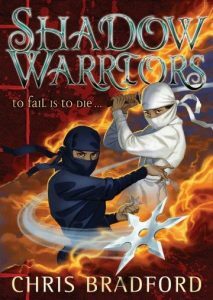 Shadow Warriors is a brilliantly exciting story which just the right amount of violence to keep your little ninja engaged and enthralled. The book is well written, researched and beautifully illustrated. My 9 year old liked the quizzes at the end of the book and saw them as a bit of an incentive to keep going with the story. For him, this is the ideal book, the content and the size are perfectly pitched. This meant could finish it in a reasonable time and feel a sense of achievement alongside enjoying the story. The one criticism which my son levelled was that he didnt like that the story was told in flashback, as he felt he already knew the outcome. However, this is the first book he has read with this sort of structure and so I think its as much a matter of what he is used to than anything else! As a parent I thought this was an excellent book, its a reasonable price, well produced which makes its nice to read and is appealing. If you’d like to find out more have a little look here.